The Food and Drug Administration (FDA) is alerting healthcare professionals and patients about a rare, but serious, complication in the liver known as non-cirrhotic portal hypertension in patients using Videx or Videx EC (didanosine). Didanosine is a medication used to treat human immunodeficiency virus (HIV) infection. FDA became aware of cases of non-cirrhotic portal hypertension through adverse event reports submitted to FDA’s Adverse Event Reporting System (AERS). Based on these reports, FDA has revised the didanosine drug label to include information about non-cirrhotic portal hypertension to help ensure the safe use of this drug. Didanosine is a prescription medication used along with other drugs to treat patients who are infected with HIV, the virus that causes AIDS. Didanosine works by reducing the growth of HIV.It belongs to a class of medications called nucleoside analogues. Didanosine helps your body maintain its supply of immune cells called CD4 cells. 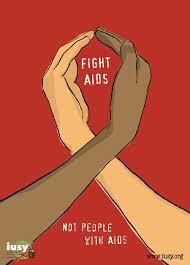 These cells are important for fighting HIV and other infections. Non-cirrhotic portal hypertension is a serious, but rare, side effect that has occurred in patients using didanosine. Be aware that didanosine use has been associated with the development of non-cirrhotic portal hypertension. Discuss with patients the clinical benefits and potential risks, including the risk of non-cirrhotic portal hypertension, with the use of didanosine. Continue to monitor patients for the development of portal hypertension and esophageal varices. Be aware that didanosine already has a Boxed Warning for lactic acidosis and hepatomegaly with steatosis. Didanosine in combination with other antiretroviral agents as well as hydroxyurea or ribavirin has been associated with the development of liver toxicity. FDA’s decision to revise the drug label for didanosine is based on post-marketing reports of patients developing non-cirrhotic portal hypertension while using didanosine. Other liver adverse events such as lactic acidosis, hepatomegaly with steatosis, and liver failure have been reported with the use of didanosine alone and in combination with other antiviral drugs. Patients should be informed that non-cirrhotic portal hypertension has been reported in patients taking Videx, including cases leading to liver transplantation or death. Videx and VidexEC are Nucleoside Reverse Transcriptase Inhibitors (NRTIs), products of Bristol Myers-Squibb. Charlie Poole, along with his band, the North Carolina Ramblers, was one of the most influential traditional-style folk artists of the 20th Century. His music was a strong early influence on bluegrass pioneers like Bill Monroe and Earl Scruggs, but his career was cut short when he died of heart failure in 1931.This comprehensive two-disc collection breathes new life into Poole’s finest and most influential recordings. Wainwright’s interpretations and arrangements are inspired while staying true to Poole’s legacy and talent. Not only are the songs on High, Wide, and Handsome full of historical references to life during the Great Depression, but they’re also full of timeless themes (being broke, in love, trying to kick booze).A good tribute album doesn’t simply address the songs the way they were written, but crawls into the music to deliver interpretations which at once honor their artistry while underscoring their universality. Wainwright doesn’t simply dress up in Poole’s clothes (figuratively speaking, of course), but delivers his musical messages in a manner which spotlights the extent to which they remain culturally relevant. Songs like “Goodbye Booze” and “My Mother and My Sweetheart” have lyrics and themes which will likely never become antiquated. “Awful Hungry Hash House” is an hilarious story about the worst possible boarding house experience ever, mashed up with the chorus of “Keep on the Sunny Side of Life.” It captures that sentiment which is all too often impossible to tap in music: sarcasm (“The butter has red hair”).Then, there are also the songs Wainwright wrote in honor of Poole, and inserted into the lineup. Most notable among them is “Charlie’s Last Song” – a tribute to Poole’s memory and legacy, and also to the drinking habit which saw the death of him. The U.S. Food and Drug Administration today approved Morphine Sulfate Oral Solution for the relief of moderate to severe, acute and chronic pain in opioid-tolerant patients. This medicine will be available in 100 milligrams per 5 mL or 20 milligrams per 1 mL. As plaque accumulates and hardens over time, it can narrow your arteries and restrict the blood flow to your heart (as well as other parts of the body). Clogged arteries may result in heart attack, stroke, or even death. Atherosclerosis may also lead to a number of serious diseases, including coronary artery disease, carotid artery disease, and peripheral arterial disease. Atherosclerosis often produces no signs or symptoms until blood flow becomes blocked and results in a medical emergency. However, in cases of reduced blood flow to the heart, individuals may experience angina (chest pain that occurs when your heart isn’t receiving enough blood), shortness of breath, and/or irregular heartbeats. All of these strategies are also considered useful in preventing atherosclerosis. If you’re seeking to manage atherosclerosis with any type of alternative therapy, make sure to consult your physician before beginning treatment. It’s also important to tell your doctor if you develop any new symptoms, or if your symptoms worsen. Although little is known about the use of alternative medicine in the treatment of atherosclerosis, studies suggest that the following natural substances and therapies may be helpful for people looking to manage this disease. A 2005 review of 70 previously published studies indicates that yoga may fight oxidative stress, a process thought to be involved in the development of atherosclerosis. What’s more, a 2000 study of 42 atherosclerosis patients found that practicing yoga slowed the disease’s progression and improved the participants’ risk factors profiles. An herbal remedy said to boost heart health, hawthorn was found to reduce levels of blood fats and aid in the prevention of atherosclerosis in an animal study published in 2009. In a small study published in 2009, researchers concluded that taking 200 mg of docosahexaenoic acid (a type of omega-3 fatty acid) can help shield the heart from atherosclerosis (as well as aging-related cardiovascular damage and diabetes). Available in supplement form, docosahexaenoic acid (or DHA) is also found naturally in oily fish like salmon and mackerel. Guillot N, Caillet E, Laville M, Calzada C, Lagarde M, Véricel E. “Increasing intakes of the long-chain omega-3 docosahexaenoic acid: effects on platelet functions and redox status in healthy men.” FASEB J. 2009 23(9):2909-16. Innes KE, Bourguignon C, Taylor AG. “Risk indices associated with the insulin resistance syndrome, cardiovascular disease, and possible protection with yoga: a systematic review.” The Journal of the American Board of Family Practice 2005 18(6):491-519. Manchanda SC, Narang R, Reddy KS, Sachdeva U, Prabhakaran D, Dharmanand S, Rajani M, Bijlani R. “Retardation of coronary atherosclerosis with yoga lifestyle intervention.” J Assoc Physicians India. 2000 48(7):687-94. Xu H, Xu HE, Ryan D. “A study of the comparative effects of hawthorn fruit compound and simvastatin on lowering blood lipid levels.” Am J Chin Med. 2009;37(5):903-8. Flax is a plant that grows throughout Canada and the northwestern United States. Its seed, also known as linseed, contains soluble fiber, omega-3 fatty acids, and lignans (naturally occurring chemicals with estrogen-like effects). Flaxseed is sold whole and in powder form. Derived from flaxseed, flaxseed oil is available in liquid and capsule form. It should be noted that flaxseed oil preparations lack lignans. A number of human studies have shown that flaxseed can significantly reduce total and LDL (“bad”) cholesterol levels, according to a research review published in 2009. However, flaxseed did not appear to considerably alter levels of HDL (“good”) cholesterol. What’s more, flaxseed’s cholesterol-lowering effects were more apparent in females (especially postmenopausal women) and people with higher cholesterol levels. Study results are mixed on whether flaxseed can cool hot flashes. For instance, a pilot study published in 2007 found that six weeks of daily crushed-flaxseed consumption decreased hot flash activity in women not taking estrogen therapy. However, a more recent study concluded that regular intake of flaxseed is no more effective than placebo for reducing hot flashes. A 2005 study of 26 healthy young adults found that daily flaxseed intake produced a laxative effect, suggesting that flaxseed may be useful in the treatment of constipation. Although preliminary research is promising, there is a lack of evidence from human-based studies that flaxseed is effective in preventing or treating cancer. Flaxseed should be taken with plenty of water; otherwise, it could worsen constipation or, in rare cases, even cause intestinal blockage. Since whole flaxseeds may pass through your intestine undigested, nutrition experts often suggest grinding flaxseed (in a coffee grinder, for instance) before adding it to cereals, smoothies, and other foods. If you’re considering the use of any flaxseed product in the management of a specific health condition, make sure to consult your physician before beginning treatment. Although flaxseed and flaxseed oil supplements are generally considered safe, their intake may lead to increased bowel movements and/or flatulence. Dahl WJ, Lockert EA, Cammer AL, Whiting SJ. 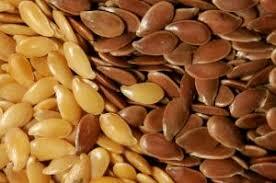 “Effects of flax fiber on laxation and glycemic response in healthy volunteers.” J Med Food. 2005;8(4):508-11. National Center for Complementary and Alternative Medicine. “Flaxseed and Flaxseed Oil [link: http://nccam.nih.gov/health/flaxseed/%5D.&#8221; NCCAM Publication No. D313. Created May 2006. Pan A, Yu D, Demark-Wahnefried W, Franco OH, Lin X. “Meta-analysis of the effects of flaxseed interventions on blood lipids.” Am J Clin Nutr. 2009 90(2):288-97. Pruthi S, Thompson SL, Novotny PJ, Barton DL, Kottschade LA, Tan AD, Sloan JA, Loprinzi CL. “Pilot evaluation of flaxseed for the management of hot flashes.” J Soc Integr Oncol. 2007 5(3):106-12. The U.S. Food and Drug Administration (FDA) is alerting healthcare professionals and patients about a rare, but serious, complication in the liver known as non-cirrhotic portal hypertension in patients using Videx or Videx EC (didanosine). Didanosine is a medication used to treat human immunodeficiency virus (HIV) infection. Videx was the first approved didanosine medication. Videx EC is a delayed-release version of Videx. Non-cirrhotic portal hypertension (portal hypertension that is not caused by cirrhosis of the liver) is rare in the United States. It occurs when blood flow in the major vein in the liver (theportal vein) slows down. This slowed blood flow can lead to the development of severely enlarged esophageal veins (varices) in the gastrointestinal system. Because esophageal varices are thin and portal hypertension increases the pressure of blood flow in these veins, esophageal varices can break open. This can result in serious bleeding and, in some cases, death. On January 29, 2009, FDA approved revisions to the Kaletra (lopinavir/ritonavir) package insert to include drug-drug interaction information for concurrent Kaletra administration with inhaled medicines such as salmeterol or salmeterol in combination with fluticasone propionate (Serevent, Advair) and sildenafil (Revatio). Section 7 Drug Interactions Table 9 was revised to include the following information on salmeterol. Concurrent administration of salmeterol and Kaletra is not recommended. The combination may result in increased risk of cardiovascular adverse events associated with salmeterol, includingQT prolongation, palpitations and sinus tachycardia. If they are taking or before they begin using Advair (salmeterol in combination with fluticasone propionate) and Kaletra, they should talk to their doctor about problems these two medicines may cause when taken together. The doctor may choose not to keep someone on Advair (salmeterol in combination with fluticasone propionate). Similar changes were made to the Medication Guide. Kaletra is a product of Abbott Laboratories. Insomnia is a common condition marked by difficulty falling asleep or staying asleep. People with chronic insomnia experience such difficulties at least three nights a week for more than a month. In addition to leaving you low in energy during the daytime, insomnia may lead to anxiety, irritability, lack of focus, and memory problems. The most common sleep complaint in the U.S., insomnia is estimated to affect about 30 to 40 percent of adults each year. A number of natural substances (such as valerianand melatonin) have been found to fight insomnia. Learn more about natural sleep aids. Additionally, certain lifestyle changes (such as exercising regularly and managing stress) may help keep insomnia in check. Improving your sleep hygiene (by limiting your caffeine intake, establishing a regular bedtime, and keeping your bedroom as dark as possible at night, for example) may also help you achieve quality sleep, according to the National Sleep Foundation. In recent years, a number of studies have explored the use of mind-body therapies in treatment of insomnia. Here’s a look at some key findings. For a preliminary study published in 2004, people with chronic insomnia practiced yogaeach day for eight weeks. Among the 20 participants completing the study, researchers observed significant improvements in several sleep-related factors (including total sleep time). In a 2005 study of older adults, scientists discovered that those practicing yoga had a significant decrease in the time taken to fall asleep, an increase in the total number of hours slept, and an improvement in the feeling of being rested in the morning. Tai chi (an ancient Chinese martial art that combines slow, graceful movements with deep breathing and meditation) may help enhance sleep quality and protect against insomnia in older adults. In a 2008 study of 112 healthy older adults, researchers found that 25 weeks of tai chi practice improved sleep quality among those with moderate sleep complaints. An earlier study, published in 2004, showed that older adults who practiced tai chi for 60 minutes three times a week for six months increased their sleep duration and decreased the time it took to fall asleep at night. Combining mindfulness meditation with cognitive behavioral therapy may have long-term benefits for people with chronic insomnia, according to a 2008 study. Analyzing sleep and meditation diaries provided by 21 participants, researchers observed that several sleep-related benefits were maintained throughout a 12-month period following treatment with mindfulness meditation and cognitive behavioral therapy (a form of psychotherapy that emphasizes the role of your own thoughts in how you feel and behave). Mindfulness meditation is a form of meditation that involves focusing on your mind on the present. Here’s how to practice mindfulness meditation. Irwin MR, Olmstead R, Motivala SJ. “Improving sleep quality in older adults with moderate sleep complaints: A randomized controlled trial of Tai Chi Chih.” Sleep. 2008 1;31(7):1001-8. Khalsa SB. “Treatment of chronic insomnia with yoga: a preliminary study with sleep-wake diaries.” Appl Psychophysiol Biofeedback. 2004 29(4):269-78. Li F, Fisher KJ, Harmer P, Irbe D, Tearse RG, Weimer C. “Tai chi and self-rated quality of sleep and daytime sleepiness in older adults: a randomized controlled trial.” J Am Geriatr Soc. 2004 52(6):892-900. Manjunath NK, Telles S. “Influence of Yoga and Ayurveda on self-rated sleep in a geriatric population.” Indian J Med Res. 2005 121(5):683-90. Ong JC, Shapiro SL, Manber R. “Mindfulness meditation and cognitive behavioral therapy for insomnia: a naturalistic 12-month follow-up.” Explore (NY). 2009 5(1):30-6.